DENVER – The future of Colorado’s roads and rural hospitals grew dimmer Thursday at the state Capitol when it was announced that measures aimed at providing relief could die in the closing days of the legislative session. The two bills, House Bill 1242 and Senate Bill 267, are representations of bipartisan compromise that have derailed for different reasons in the growing gridlock that has characterized the final weeks of the 2017 General Assembly. 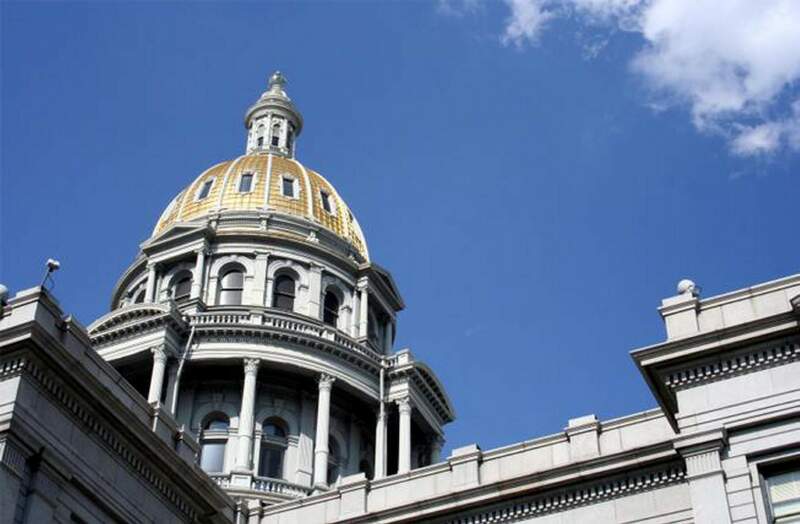 These two bills are deemed critical for fixing the state’s crumbling highways and ensuring hospitals don’t face a $264 million cut as a result of efforts to balance Colorado’s $28.3 billion budget. HB 1242, which would use a combination of existing funds and a sales tax increase to raise hundreds of millions of dollars annually over the next 20 years for transportation and a $3.5 billion bond for projects that are ready for work to begin, is scheduled for a hearing Tuesday by the five members of the Senate Finance Committee. Despite having the support of Senate President Kevin Grantham, R-Cañon City, the measure is expected to die on a party-line vote, with the GOP opposing the tax increase. “The reality is, at this point, we can’t count to three,” Grantham said of the likely outcome of Tuesday’s vote. The one chance of a swing vote is Sen. Jack Tate, R-Centennial, as the other two Republicans on the committee, Sens. Tim Neville, R-Littleton, and Owen Hill, R-Colorado Springs, have vocally opposed tax increases. But Tate told the media Thursday he is a hard “no” on HB 1242 unless every other potential option has been exhausted. “Bottom line is, I’m not going to be supporting a tax increase unless we’ve done the other things we can do first, and that means other people being willing to go along with things they don’t want to do,” he said. Included in these “things” are re-prioritizing funds from other parts of the state’s $28.3 billion budget to transportation, and using it to pay for a bonding measure. “After we trim the hedge and mow the grass, we can then look at maybe doing some more landscaping,” Tate said. But attempts to do just that have been uniformly killed by Democrats in the House, Grantham said. Despite the writing all but plastered on the wall, Grantham said he is not ready to “read the obituary” of HB 1242, as there are five days to find a compromise that will gain Republican support on the finance committee. But he knows the cards are stacked against him and the work of the bipartisan group that drafted the transportation bill. “What we couldn’t figure out in five months, we have to figure out in the next five days,” he said. Speaker of the House Crisanta Duran, D-Denver, and who is a sponsor of HB 1242, said the lack of Republican support is representative of the division within the caucus between those who want to find solutions to Coloradans’ problems and those who want to keep the status quo. “What I would ask to anyone who is voting against this bill: ‘How can you turn your back on all of these people, all of these organizations?’” Duran said. Hospital Provider FeeAlongside this is a breakdown in negotiations to bring relief to hospitals that are looking at a $264 million reduction in federal matching funds. The cut comes from a decrease in the amount of funding drawn by the Hospital Provider Fee, which is imposed on hospitals across the state that is matched by the federal government and paid back to hospitals to subsidize providing treatment of patients on Medicaid or those who do not have insurance. The issue is that the fee counts toward the state’s revenue limit under the Taxpayer’s Bill of Rights. The fee was cut in an effort to balance the state’s budget on the backs of health care providers, particularly rural hospitals that are favored by the formula used to reimburse the federal funding. Locally, this cut would manifest in a funding reduction of at least $2 million for Southwest Memorial Hospital in Cortez and a loss of an estimated 27 percent of Medicaid reimbursements for Mercy Regional Medical Center. SB 267 would change the classification of the provider fee so it no longer counts toward the revenue limit, but also reduce the TABOR limit by hundreds of millions of dollars, which essentially shifts the cut hospitals are facing to other departments in the state, such as education. The reduction in the TABOR limit, which is set at $670 million in SB 267, is where the negotiations have fallen apart. Sen. Jerry Sonneberg, R-Sterling, and sponsor of the bill, said he has been willing to lower the number to $335 million, which is less than half of the total amount gathered by the hospital fee. “I’m very frustrated I have come more than halfway and that ain’t enough,” Sonneberg said. Democratic leadership has insisted there cannot be a cap reduction of that magnitude and that Sonneberg’s claim to be meeting them halfway is overblown because of the scope of SB 267. “There’s a whole lot more in that bill that has to be fixed,” said House Majority Leader KC Becker, D-Boulder. In addition to reclassifying the Hospital Provider Fee, the bill also would transfer more than $390 million to rural schools, issue $1.35 million in bonds for transportation infrastructure and construction and call for a 2 percent budget decrease for all state departments. “If he put five things on the table and then on one of those five things he says, ‘I’m cutting that one in half, I’m meeting you halfway.’ Not at all. We are willing on so many aspects to work on something, but that is not meeting us halfway,” Becker said. But there is division among Democrats on how far they are willing to go down. Sonneberg said Duran and Becker insisted on no revenue cap reduction during a meeting Wednesday. Senate Minority Leader Lucía Guzmán, D-Denver, who also sponsors SB 267, said she is willing to accept some level of reduction, but Duran and Becker excluded her from negotiations on Wednesday. Guzmán said she was disgusted by not being involved in negotiations on her bill and has subsequently contacted them to express her frustration with their overreach before the bill has moved to their chamber. “I have said this is my bill, as long as we are working it in the Senate, which is where it is, let us work this bill,” Guzmán said. While she appreciates Guzmán’s input, Becker said her involvement in the negotiations is not as critical as other members of leadership. “I continually reach out to Senator Guzman, I think she appreciates that, it’s just, ultimately, you have to get a bill through the Senate and you have to get a bill through the House and so it’s the majority in the Senate and the majority in the House (who) are doing most of the talking,” Becker said. If a middle ground is not found on the cap reduction, SB 267 is all but guaranteed to die before it reaches the Senate floor. “If we’re not going to have negotiations, then there’s no point in having a damn bill,” Sonneberg said.